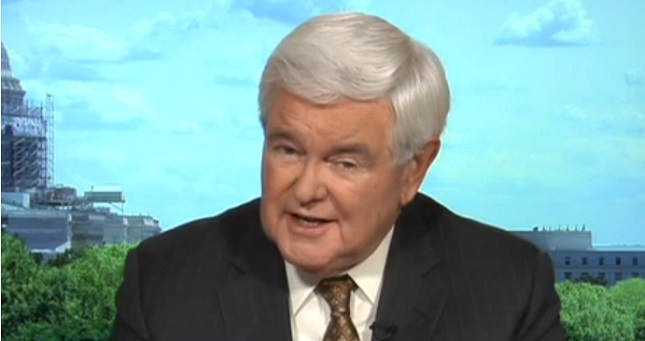 Gingrich has a history of problems with transparency and ethics ranging from his time as House speaker -- when, as NPR noted , “he was the first speaker of the House, ever, to be punished by the House for ethics violations” -- to his media career  at CNN and Fox News. FoxNews.com recently initially failed to disclose another conflict of interest with op-ed writer James J. Fotis, who took to the website to defend recently pardoned racist Sheriff Joe Arpaio. That piece initially did not note that Fotis is “paid to run Arpaio's legal defense charity.” As the Post’s Erik Wemple noted  about that op-ed, “When it comes to such disclosures, the more information, the better."